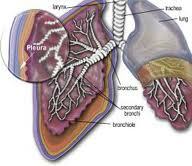 Pericardial Mesothelioma affects about half of all pericardial cancers and is very rare. Scientists from different Mesothelioma’s studies reported that this type of cancer occurs in about 1 to 6% of all mesothelioma cases. As of today, less than 150 pericardial Mesothelioma cases were presented in medical literature and about 200 cases have been reported around the World. Pericardial tumors are usually not localized (diffused) and usually cover most of the patient’s heart. Pericardial Mesothelioma progresses in the pericardium, a membrane consisting of mesothelial cells that surrounds the patient’s heart protecting and supporting this organ. The membrane consists of 2 different layers: an inner layer called visceral layer (known as epicardium) and outer layer known as parietal layer (called theca cordis or the heart sac). The visceral layer is the pericardial membrane lining the heart and the parietal layer is larger membrane’s part, lining the whole chest cavity. Most patients with Pericardial Mesothelioma are not good candidates for surgery. However, there are rare cases, in which such cancer is diagnosed at early stages, and surgery may perform to remove localized, small perecardial tumors. Such surgery type carries big risk due to the heart proximity. Prognosis for patients, who have Pericardial Mesothelioma is grim and palliative treatment generally the only option with such type of cancer. This treatment’s type is done to improve a patient’s life quality and reduce the symptoms’ severity resulted from fluid build-up in the person’s pericardium. Fine aspiration needle can be carried to remove fluid excess. Sometimes, radiation therapy can be the option. Unfortunately, lungs and heart’s proximity may be risky. 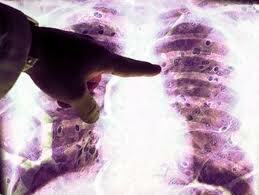 Pericardial Mesothelioma’s treatment is nearly purely palliative. About 50 to 60% of patients with Pericardial Mesothelioma are claimed by the illness within 6 months of diagnosis. Statistics show that 1 person survived 5 years after radiation and partial surgical resection. Another person survived 1 year after similar treatments. Another problem is that the Pericardial Mesothelioma symptoms resemble other conditions of the heart, and this makes Pericardial Mesothelioma difficult to diagnose fast. Such cancer may need different tests to confirm Pericardial Mesothelioma. 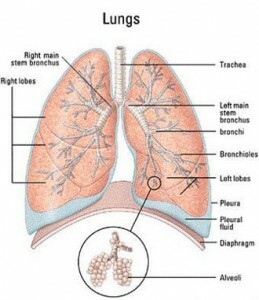 As in other mesothelioma types, the symptoms may not appear until cancer’s later stages. All asbestos-related medical conditions exhibit a latency frame of time while the fibers of asbestos gradually result in the cellular damage within the patient’s exposed body. It usually takes many years for the lodged fibers of asbestos to result in enough cellular damage. Once changes of cancer taking place in the person’s cells, reproduction of such cells may lead onset of symptoms and tumors’ accumulation. Usually, Pericardial Mesothelioma symptoms are resulted from pericardial layers thickening and fluid’s build-up. Pericardial Mesothelioma symptoms include: chest pain, arrhythmia (irregular heartbeat) or heart palpitations, night sweats or fever, murmurs, fatigue, cough, dyspnea that occurs while lying down (orthopnea), and breathing difficulty, even while resting (dyspnea). Pericardial Mesothelioma diagnosis is difficult due to the symptoms non-specificity of such cancer type. Diagnosis of Pericardial Mesothelioma based on current medical condition, medical history and symptoms. Diagnosis initial stages involve physical examination and medical history. 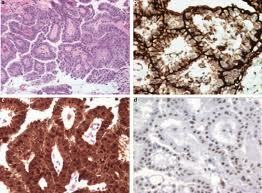 Different imaging tests can be required to confirm cancer location. X-Ray and MRI (magnetic resonance imaging) are most effective and accurate scans to determine the disease and show extent of its development. Pericardial mesothelioma diagnosis in final stage usually consists of biopsy to confirm cancer;s origin point. Biopsy involves the fluid or tissue’s removal from pericardium, which are sent to the laboratory for testing to confirm the Mesothelioma presence. Once cells confirmed to be cancerous, they start to divide fast without the restraint that regulating normal healthy cells growth cycle. When such malignant Pericardial Mesothelioma’s cells continue to grow, they lead pericardial membranes to thicken, and usually result in tumors to progress. 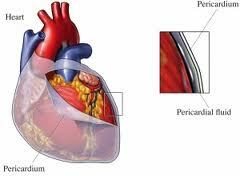 Such pericardial membranes’ changes lead the fluid to build-up between the layers of pericardium, which along with layers’ thickening, put pressure on the patient’s heart.